Courtney Henggeler is not quite a household name, as many people will not know who the actress is unless there is a picture that comes along with the name, or maybe if they are huge fans of the character of Sheldon Cooper in the series The Big Bang Theory, where she famously appeared as his twin sister, Missy. Other than that role, Henggeler is also known for her starring role as Amanda LaRusso in the web television series, Cobra Kai (2018-present). Read on to find out more about her. Courtney Henggeler was born on the 11th of December, 1978, in the small town of Phillipsburg, Warren County, New Jersey. Details about her parents and life before she started her career in Hollywood are somewhere between limited and unknown. It is known that as a child, in 9th grade, Henggeler auditioned for a role in her high school production of Carousel because her childhood best friend made her do so. It is not clear if she eventually got the role, but it is documented that while auditioning, she pretended to eat an apple while singing about clams. Later on in life, at an unrevealed date, Henggeler left her hometown for Los Angeles, California in order to pursue an acting career. She is said to have received her first acting lessons in LA before going on to land her first role in the horror B-movie, The Bog Creatures (2003). Two years after her debut, Henggeler landed a guest appearance role in the medical drama series House and then played the role of a maid in The Legacy of Walter Frumm (2005). In 2008, Courtney Henggeler landed another high profile guest appearance role, this time as Missy Cooper, the twin sister of Sheldon Cooper who is the main character of the popular sitcom, The Big Bang Theory. In the coming years, Henggeler went on to guest appear in series’ like Criminal Minds, NCIS, Working Class, Happy Endings, and Melissa & Joey, before landing a recurring role in another popular sitcom, CBS’ Mom (2013-2015). 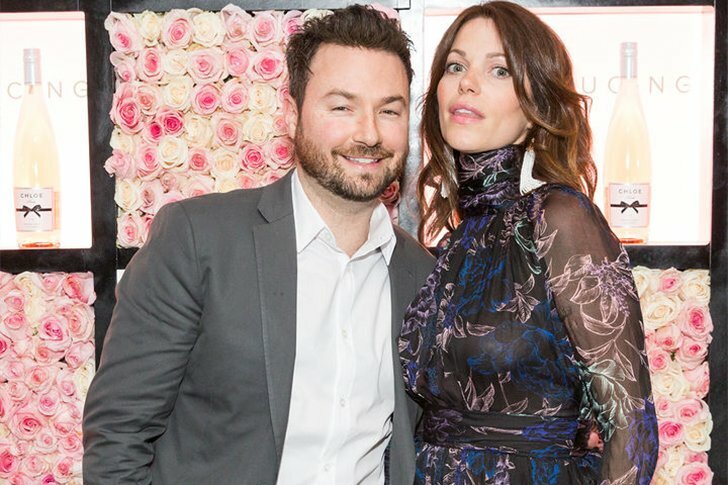 According to the popular Celebrity Net Worth website, Courtney Henggeler has an estimated net worth of $500 thousand, which she was able to make through her acting career that started far back in 2003. Henggeler reportedly also makes some money from the multiple businesses she is said to own, as well as from her work as the brand ambassador of some beauty products. While Henggeler’s net worth might appear to be seemingly low when put in comparison to that of her co-workers in the film industry, she is still able to afford herself a lavish lifestyle, as she aims to take her career to a higher level in the coming years. With a height of 5 feet and 9 inches (1.75 m), Courtney Henggeler is quite tall, in fact, more than a few inches taller than the average American woman who stands at 5 feet 4 inches (1.6 m). The slim body figured actress, who has brunette colored hair and brown colored eyes, further weighs about 63 kg (138 lbs) and has body measurements of 37-25-37 inches (94-64-94 cm). It is well known that Courtney Henggeler loves to keep personal things about her private out of the tabloids and gossip columns. The actress has managed to do so all through her life but however opted to break protocol when she publicized her marriage to the love of her life, actor, and producer Ross Kohn, who produced movies like 10.0 Earthquake (2014) and Nanny Cam (2014). Read Also: Life and Death of Barry Chuckle, How Did He Die, Who Was The Wife – Ann Elliott? Henggeler and Kohn got married on the 11th of October, 2015. Together, the pair welcomed a son named Oscar Noah, who was born in February 2017. In January 2019, the couple revealed that the family was going to be adding another member in the coming months. Henggeler seems to be head over heels in love with her beautiful family as she does not hesitate to post pictures of them on social media. By all indications, life for the couple is the best it can be as they both manage to balance their work and family demands. Courtney Henggeler is a well-known pet lover, as she has owned quite a number of dogs during her time. At the moment, Henggeler is said to own a Cockapoo breed dog which is said to cost somewhere around $850 to $1000.